Earlier this week, Nissan revealed a teaser of the new 2018 LEAF’s interior, giving us an idea of what the electric vehicle has to offer. The company released a video of their upcoming ProPILOT assist technology, along with a number of images from inside the new LEAF. The ProPILOT is a semi-autonomous function. It’s quite impressive for the Nissan, but it won’t be able to compete with Tesla’s Autopilot just yet. The company has provided details about the technology shown on the video promo, saying that the app “reduces the hassle of stop-and-go highway driving”. The driver-assistance technology will come standard with the Nissan LEAF. 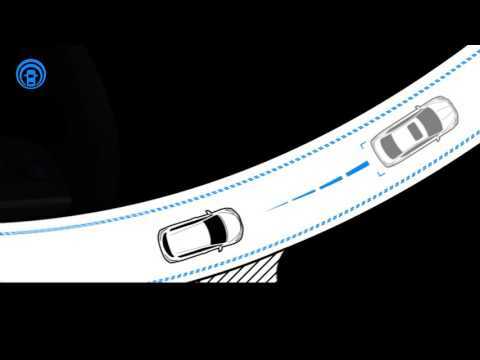 This feature keeps the car in the lane, while maintaining proper distance to the car in front during highway cruising, being classified as level two autonomy. Therefore, it supports drivers by helping them control acceleration, braking and steering during single-lane highway drives. What makes the LEAF’s technology different from a Tesla is the fact that the ProPILOT Assist only works on single lane driving. It will not have an automatic lane changing function unlike the latter - just lane keeping and adaptive cruise control. However, this is just the start. The company definitely has plans to ramp up the system’s capabilities. And for the sake of comparing, no one has mentioned how Nissan’s ProPILOT Assist is different from Volvo’s Pilot Assist. Within the next few years, the ProPILOT technology will also be capable of navigating through city intersections as levels of autonomy increase, according to Nissan. If you remember the Nissan Serena that the company introduced last year, it also featured the ProPILOT system. The minivan came with a TRW front camera hooked to a Mobileye computer, an electric power steering, electric park brake, ABS and an engine control module. The 2018 LEAF will most likely work the same way too. Knowing that, both Serena and the LEAF may actually share the same system. And Nissan said at last year’s press release that automatic lane changes on highways will be available in 2018, but we don’t see that yet. Though the LEAF may not be as advanced as Tesla in terms of autonomous features, it is a good sign that North America, Asia, and Europe are receiving semi-autonomous cars from Nissan. With the Nissan LEAF’s debut coming up in a few months, the company will probably give us more teasers of the EV. The LEAF is scheduled to make its debut in Tokyo on September 6th. In other news, the company also updated the sales figures of the LEAF, with a total of 270,000 units being sold of the 2017 model.